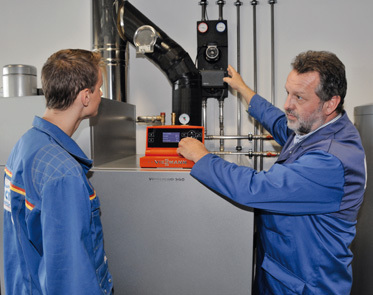 JCH London offer a wide range of services for commercial gas servicing including plant room servicing, commercial gas boiler servicing and full planned preventative maintenance contracts. As a market leader within Greater London, JCH London provide experienced commercial gas engineers to undertake all our clients servicing needs throughout the city offering full reports on findings often with recommendations for energy saving ideas plus comprehensive commercial gas certification on completion for business compliance. Small faults within gas appliances can lead to them being inefficient and increased energy consumption as well as leading to larger more costly repairs in the future. Ensuring your gas appliances are serviced annually can detect these faults early on saving time, money and downtime. Preventative maintenance plans (PPM’s) are a very important part of any buildings ongoing facilities management with the aim to establish consistent maintenance to improve the performance and safety of the equipment within a building.